The following submission was made by Deirdre Ní Fhloinn Solicitor and PhD Candidate, Long Room Hub Arts and Humanities Research Institute, Trinity College Dublin as part of the current annual review of BC(A)R SI.9 being conducted by Ministers Coffey, Kelly and the Department of the Environment. I refer to the consultation process in relation to the Building Control (Amendment) Regulations 2014 (“the 2014 Regulations”) initiated by the Department in April 2015. I now enclose a submission for consideration in the context of that consultation process. Rather than dealing with specific amendments to the 2014 Regulations, I have highlighted in the attached document a number of significant characteristics of the legal environment in which the 2014 Regulations operate, in order to highlight the significant prejudice to Irish home-buyers in accessing remedies for defective housing. In my opinion, the 2014 Regulations do very little to improve that situation. I call upon the Minister to review the outcome of the most serious building failures that have come to light in Ireland in recent years from the perspective of whether the home-owners affected were able to obtain a financial remedy in order to rectify their homes. The solution to these failures will take some time to devise and to implement, and will involve a package of law reform. I have set out the main issues and potential solutions in the attached submission. I also call upon the Minister to consider the establishment of a National Building Control Authority in order to centralise inspection and enforcement functions of building control authorities under the 1990 Building Control Act, to administer the Building Control Management System, and to administer the register of building contractors that is to be put on a statutory footing later in 2015. I am in my first year of a PhD at TCD on the topic of ‘Consumer remedies for defective dwellings: devising a model for effective redress’, for which I have been awarded a scholarship by the School of Law. I was in practice for 14 years before starting the PhD, including 10 years as a specialist construction lawyer. The starting point of my research is the lack of legal remedies available to home owners when defects emerge in housing; for example, because actions are statute-barred (as they were for many of the owners whose houses were damaged by pyrite), because the builder/developers are insolvent, or because the homeowner is not the first purchaser of the house/apartment, and thus has no remedy in contract against the builder. The outcome of my research is likely to be an outline of the main law reform measures that I believe will be necessary to re-balance the relationship between consumers and builders in the Irish housing market, in order to provide effective, accessible remedies. I am happy to meet with the Department in order to discuss any of these issues. b. Recommendation for creation of an Irish Building Control Authority. There has been widespread commentary on specific issues arising from the Building Control the 2014 Regulations; for example, the situation of ‘self-builders’; the completion certification requirements for multi-unit developments; and the lack of mandatory latent defects insurance on residential projects. I have no doubt that these issues will be dealt with in the submissions of the professional bodies and other stakeholders to this consultation process. Therefore, this submission deals only with (i) legal issues regarding recovery of financial redress for homeowners, and (ii) a proposal that consideration be given to the establishment of a Building Control Authority for Ireland, with responsibility on a national basis to administer building control via the Building Control Management System. 2. When the first iteration of the Building Control (Amendment) Regulations was published in 2013, the then Minister characterised the regime thereby introduced as a ‘rolling set of guarantees’, intended to support the accountability that had been the objective of the recommendations of the Building Control Reform Group of 2011. However, there remain significant limitations on recovery of financial remedies by homeowners where defects emerge. 3. In my view, the 2014 Regulations fall short of what is required for an appropriate system of financial address for home-owners dealing with defects. A number of legal experts have opined that the wording of the new statutory certificates is unclear; even if it were clear, however, the certificates merely reinforce the existing common law position, by which professionals, but not builders, may be liable under the law of negligence for defective building work. 4. The 2014 Regulations do not operate independently of the existing legal regime for recovery of financial remedies in respect of building defects. That regime is prejudicial to home-owners in a number of significant ways; this is evidenced by the fact that the most costly building failures of the past 10 years in Ireland are now being paid for by the State. All houses and apartments are built on the basis of contracts, usually with the first purchaser of the house or apartment. If the other party to that contract – the builder – delivers a house or apartment that is defective, the primary remedy of the purchaser should be for breach of contract, which is available for 6 years from the date of breach of contract. The common law rule of privity of contract remains part of Irish law; therefore, an action for breach of contract can only be brought by the parties to that contract. It is unlikely that anyone but the first purchaser of a dwelling will ever have a remedy in contract against the builder. The Law Society standard form building contract used for new dwellings in Ireland prohibits assignment of the contract without the consent of the building contractor – therefore, a person buying an apartment or house that is less than six years old will have no remedy under the law of contract, and will have to pay for the repairs to them out of their own funds if insurance is not available to cover the repairs (as many homeowners have found in relation to pyrite damage). An example of an alternative approach to home building contracts is the 1989 Home Building Act of New South Wales, which implies a number of warranties into contracts for building work, the benefit of which passes to successors in title to the party who originally employed the building contractor. If a similar rule was introduced into Irish law, it would mean that the action for breach of contract would not disappear when a house or apartment is sold within the limitation period of 6 years from the date of the breach. b. Even if a remedy is available against the original builder in contract, the builder may be insolvent, and the defect may not be covered by a defects policy. There is no system for comprehensive, mandatory, latent defects insurance in Ireland, and the defects policies on the market are subject to various limitations and exclusions, such as exclusion of liability for the presence of pyrite in aggregates. Again, there are various examples from international practice that would be of assistance in devising appropriate insurance requirements; for example, the New South Wales Home Building Act requires home warranty insurance to be arranged by the contractor for any residential construction work above a certain value. c. Remedies in tort: There is a well-established line of jurisprudence to the effect that the cost of rectifying defects is regarded as ‘economic’ loss and thus generally not recoverable against a builder, although the position under Irish law is unclear in this respect. The emphasis in the Regulations on designers/certifiers as a source of financial redress for home-owners is a poor way of managing construction risk, and is unlikely to contribute to a culture of teamwork and improvements in quality across construction projects. Designers and certifiers are likely to carry out their work in an environment where they are motivated to a significant extent by the potential liability that they face in respect of their work and the work of others, as the common law rules in relation to joint and several liability and the Civil Liability Act of 1961 effectively result in design teams taking the risk of contractor insolvency. Even if the contractor is not insolvent, the professional acting on a construction project is at significantly greater risk of claims because of the distinction in the law of tort between the duties of designers and duties of builders. The adversarial culture that results from this type of dynamic on construction projects has resulted in a number of innovations in construction practice in the UK, including an emphasis on collaborative working and early contractor involvement on projects, to improve quality and to manage risk in a more holistic way. d. Remedies against building control authorities: a building control authority is very unlikely to be held liable for the cost of rectification of building defects arising from failure to detect non-compliances with Building Regulations. However, where there is a significant building failure which requires the evacuation of residential buildings, political pressure may result in significant public expenditure to provide accommodation for residents and ultimately to underwrite the building failure. This was, of course, the case with Priory Hall, where Dublin City Council and the Irish State paid for alternative accommodation and repair works following evacuation of the development under the Fire Services Act 1981, where the original builder/developer was insolvent. It is far preferable to invest in an effective building control system, supported by a legal regime that affords a remedy to homeowners, than for the State to continue to act as the ultimate guarantor of building failures. e. Statutes of Limitations: An action may become barred under the Statutes of Limitations before the damage has been detected. This is at variance with the position in other jurisdictions: for example, in England and Wales the 1986 Latent Damage Act prevents the cause of action in negligence becoming statute-barred where facts relevant to the cause of action are not known at the date of accrual of the cause of action. 6. 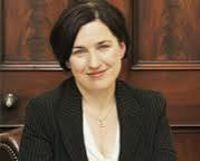 I call on the Minister to undertake a review of the building failures that have emerged in Ireland in the past ten years, to consider the deficiencies in the legal regime that became apparent as a result, and to devise a package of reform of law and practice that will address these deficiencies. ‘…although the contract represents the only real method by which the purchaser/lessee can protect himself in our law, the unequal bargaining position of the parties, the shortage of an adequate supply of suitable housing property and the practices of the professions do not ensure the proper recognition of the legitimate interests of the average home purchaser/lessee’. The paper included the General Scheme of a Bill to amend the law relating to the liability of builders, vendors and lessors for the quality and fitness of premises, which included an obligation on a person carrying out work to see to it that the work was carried out in a good and workmanlike manner with suitable and proper materials. The paper also recommended that measures be introduced to underwrite the insolvency risk of builders. b. The Law Reform Commission’s 1982 Report on Defective Premises (2) included the scheme of a Defective Premises Bill (1), which was not introduced into Irish law. The Bill included a statutory duty on a person undertaking or executing work, in favour of the person who commissioned the work and any person who acquired an interest in it, to see that the work was undertaken in a good and workmanlike manner with suitable and proper materials. The Bill provided that damages recoverable for breach of the duty should include an amount for economic loss (if any) suffered by the plaintiff. c. In its 2001 Report on the Statutes of Limitation: Claims in Contract and Tort in respect of Latent Damage (other than personal injury)(3), the Commission recommended the introduction of a ‘discoverability’ test for latent defects, and that the cause of action for construction liability claims should accrue at the date of completion or practical completion, such that claims would need to be brought within six years of accrual or three years from discovery. These amendments have not been implemented into Irish law. The question of limitation of actions was revisited in the Commission’s consultation paper of 2009(4), and in its 2011 Report on Limitation of Actions(5), in which the Commission revisited the considerations raised in its earlier reports, examined the practice in other jurisdictions, and recommended the introduction of a ‘discoverability’ test, with a two-year limitation period from the date of discovery (subject to limited exceptions), and a long-stop date of 12 years. This legislation should be introduced in relation to defective buildings as a matter of urgency, as it causes great injustice to homeowners to discover that their action is statute-barred when they could not reasonably have been aware that a defect was causing damage to their home. Many of the actions of householders affected by pyrite damage were statute-barred in circumstances where there was widespread ignorance both at State and industry level of the damage that was being caused to the foundations of homes and buildings by contaminated aggregates. d. In its Report on Privity of Contracts and Third Party Rights(6), the Commission recommended the introduction of legislation to allow third parties to enforce contracts in certain circumstances, analogous to the circumstances dealt with in the Contracts (Rights of Third Parties) Act 1999 of England and Wales. This legislation, if introduced, would be of particular relevance to construction contracts, and would go some way to addressing some of the difficulties for claims set out above. 8. There are also templates available for law reform from other jurisdictions: in Canada, billions of dollars of remedial work was required in order to deal with the consequences of water ingress to facades of thousands of units built between the late 1980s and early 2000s; a commission of enquiry was held into the causes, and a Homeowner Protection Act introduced. 9. The catastrophic consequences of significant building failures in human and financial terms oblige us to consider whether the regulatory model is sufficiently coherent and responsive to widespread non-compliances with Building Regulations that continue to become apparent in Ireland. 10. Consideration should be given to the creation of an Irish Building Authority, to which the functions of the existing building control authorities would be transferred, that would administer building control on a nationwide basis. 12. The infrastructure for the national building inspectorate service is already being put in place with the continuing development of the Building Control Management System as a centralised building control administration system and resource for information on building on a nationwide basis. 13. The creation of a centralised body would allow building control inspectors to operate on a nationwide basis, facilitating the risk-based inspection system contemplated by the Code of Practice for the 2014 Regulation. It would also facilitate the effective implementation of the Common Framework for Building Control Authorities adopted by the City and County Managers’ Association in July 2014, which includes a guide to building control administration, a standard inspection approach, and template reports. 14. Again, there are examples internationally of how such an authority could operate: for example, the Australian Victorian Building Authority, and the Building Commission of Western Australia. The Building Commission oversees the regulation of building, painting, surveying and plumbing services, and which also includes the Building Services Board, which controls the registration and licensing of builders, painters and building surveyors. 15. An Irish Building Control Authority could be established with responsibility for building regulations and building control on a nationwide basis, as well as responsibility for registration of building contractors and sub-contractors using the model that has been developed by the CIF in Construction Industry Register Ireland. This would allow the Construction Industry Register to operate within a regulated framework which is independent of the main construction industry stakeholders, and would contribute to public confidence in the Register. 1 Working Paper no. 1 – 1977: the Law relating to the liability of Builders, Vendors and Lessors for the Quality and Fitness of Premises (June 1977). This entry was posted in Building Regulations on May 27, 2015 by BRegs Admin.